What comes to mind when you read the word “sustainability”? If you’re like a lot of the people I’ve talked to (who aren’t in SPEA, or at the IUOS, or at Hilltop Gardens, or getting their BAESS – there, I think that’s everyone), I’m willing to bet that it’s a lot of, “Go Green!” slogans, or using less electricity, or taking shorter showers. Of course, you’re not wrong. There’s so much more to sustainability, though. The “more” is what takes sustainability beyond catchy slogans and to a level of social justice, equality, economy, and longevity. You may think I listed all those words to sound fancy. You’re right, I did. But they’re all also crucial parts of sustainable practices. After two years of working for the IUOS, I’ve come to define sustainability in terms of all of those aspects. In my mind, sustainability is the practice of creating an equal and mutually beneficial society in the present and the future. See? No mentions of greenery there. It’s a surprisingly simple idea: sustainability is the concept that the people of today (read: you and me) should be working to create a future that’s just as good, if not better, for our children, but that we should also be working to create a better present. That means environmentally, yes, but also socially. 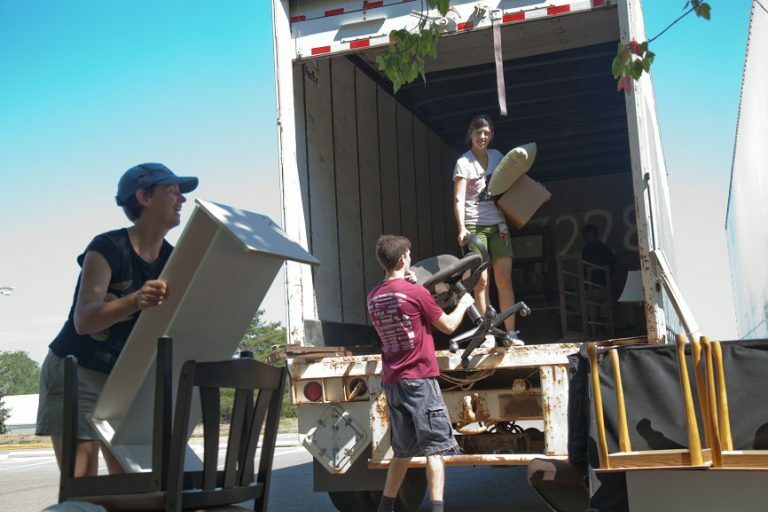 Hoosier to Hoosier is an event sponsored by the IUOS, the City of Bloomington, and Cutters Soccer Club that every year allows students to donate their used textbooks, bookcases, televisions, appliances, etc. for different students to purchase in the coming year. This event serves as an example of economic and social sustainability because it helps students help other students, creating a sort of cyclical system on the IU Campus. This forming of a community benefits Bloomington socially, but the funds that H2H generates also help Bloomington businesses. The amount of funding each involved organization receives is based on how many volunteer hours the organizations put in to the event. The Hoosier to Hoosier sale will be taking place on Saturday, August 22nd this year (2015) at their Warehouse, located on 1525 Rogers St., Bloomington, IN 47403. Global Gifts is a Fairtrade store with four locations in Indiana and Ohio. Nonprofit and staffed by volunteers, Global Gifts provides a place where artisans from Africa, North and South American, and Latin America can sell their goods. All these artisans are paid fairly regardless of gender, race, or class. Fair trade stores work to fight against poverty and for equality and fair treatment of employees. This kind of work is a form of social justice-based sustainability, and benefits people both locally and internationally. 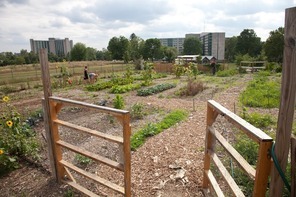 The IU Campus Garden (different from Hilltop Garden, but in the same location) serves as a working area for students and Bloomington locals, allowing all who come to volunteer their time in the garden and eat or take home some of the garden’s produce. That alone supports community based sustainability; it allows for the development of community and centers itself on the learning of skills to grow food and to better oneself. The reach of the garden is long, however, and the sustainable aspects of it don’t stop there. The IU Tudor room actually purchases food from the campus garden to serve throughout the week. Renowned for its classy charm and delicious food, it can be surprising to realize that the food at the salad bar or the vegetables in the frittata are local. That, however, is part of the sustainable influence of the garden. The Tudor Room (and RPS Dining Halls, as well) support the garden when they purchase food from it, and in turn the garden helps to benefit students, staff, faculty, and families who come to IU. This is both a continued version of their community based sustainability as well as economic and environmental sustainability. These three organizations provide perfect examples of how sustainability reaches beyond “going green”. Sustainability is the idea that a community should work together to help itself; that cooperation will bring about a better present and future. You don’t have to be a SPEA major to see the importance of sustainability and if you look closely, you’ll find sustainable practices in more places than you’d think. 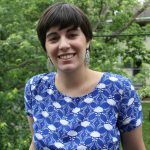 "I am a junior majoring in English and minoring in Spanish and Psychology this year. I spend a lot of my time working with the IU Office of Sustainability through my Cox Engagement Scholarship. I'm also hold two other positions with RPS. It's been a busy year so far, and it looks like it's only going to get busier."